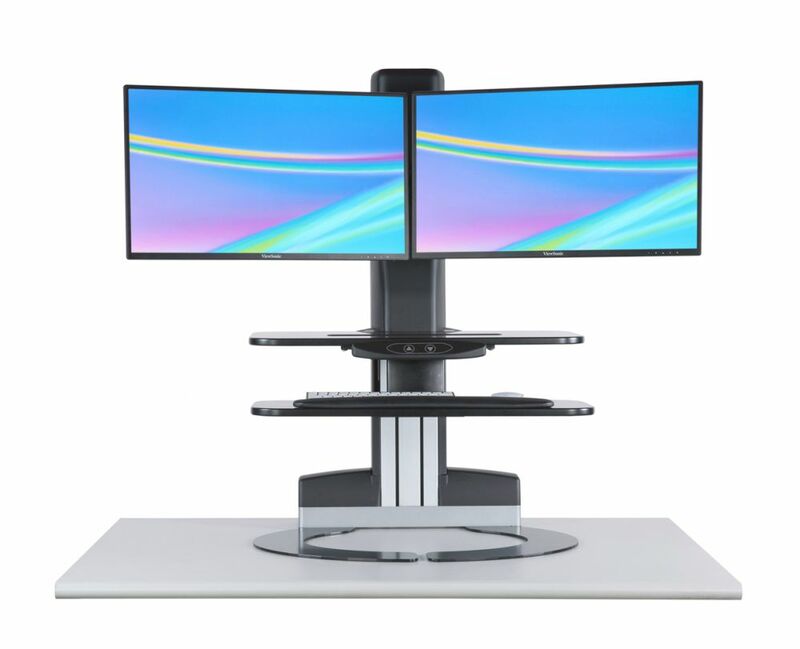 SP301E is yet another 2-tier Sit-Stand Workstation with its movement powered by electricity. 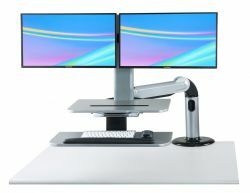 Users will be able to move the workstation up and down with easy finger touch with control panel placed on the front of the Top Worksurface. 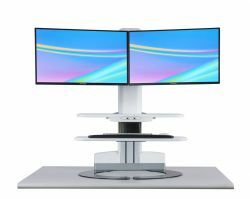 Sufficient working space is provided with 2-tier work surfaces, with integrated slot space to display tablet or smartphone as well as a secondary retractable platform for keyboard and mouse. 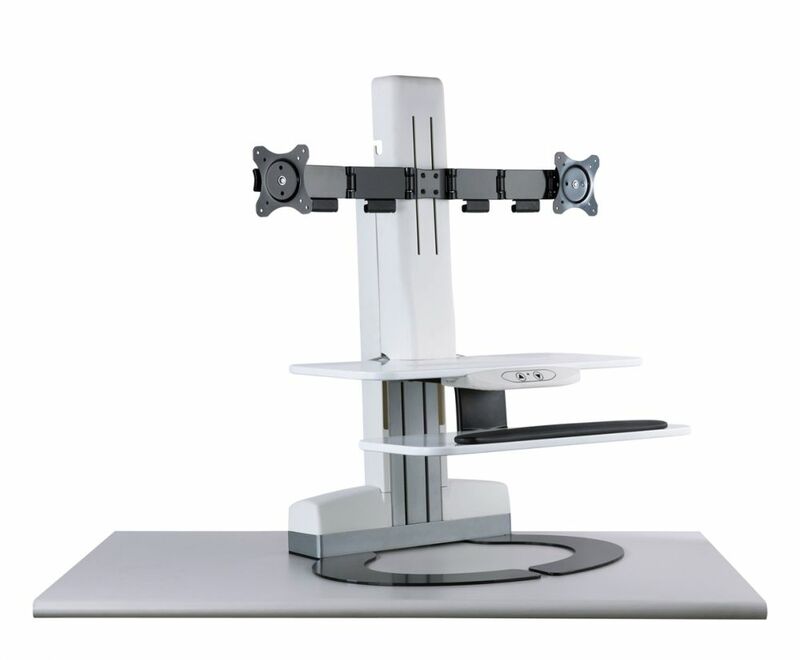 ErgonomicHeight adjustability helps easy switches between sitting and standing. VarietyAvailable in single or dual monitor application. ConvenienceWith single finger touch work essentials can be brought up and down as desired within a few seconds. 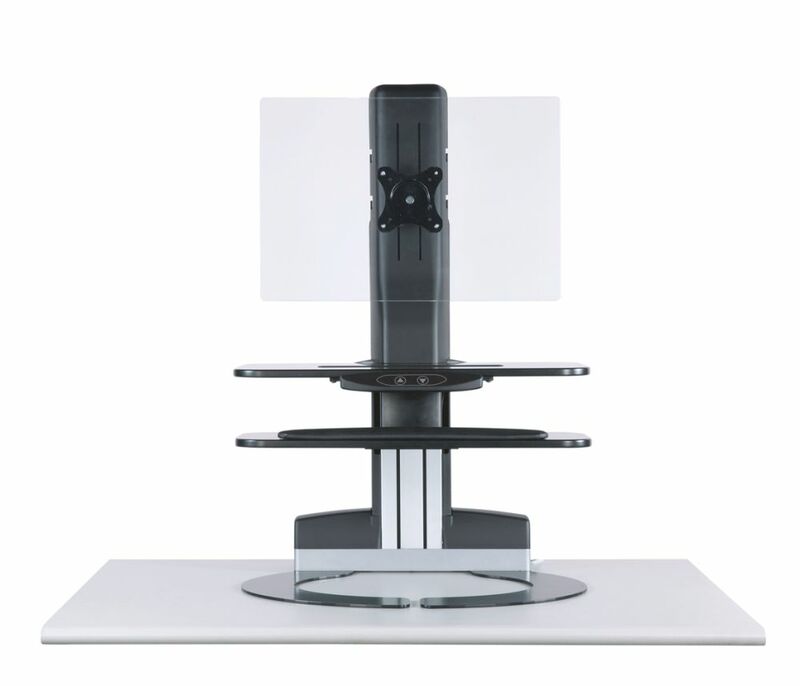 FlexibilityFlexible adjustment is offered by individual monitor rotation as well as tilt moderation. 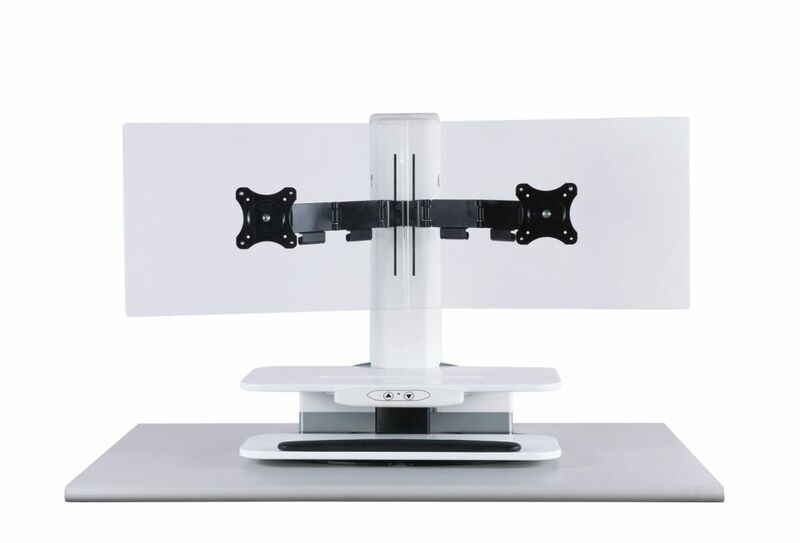 FunctionalityDual-monitor holder with joints details enables further adjustment for viewing distance and various monitor accesses from left to right, front to back. IntegrationHeight-adjustable crank is integrated and hidden inside the mount base, pulling up for immediate use at anytime. Spacious Workspace A top work surface and secondary keyboard tray are equipped for notes-taking, data inputs, multitasking and other more interaction. 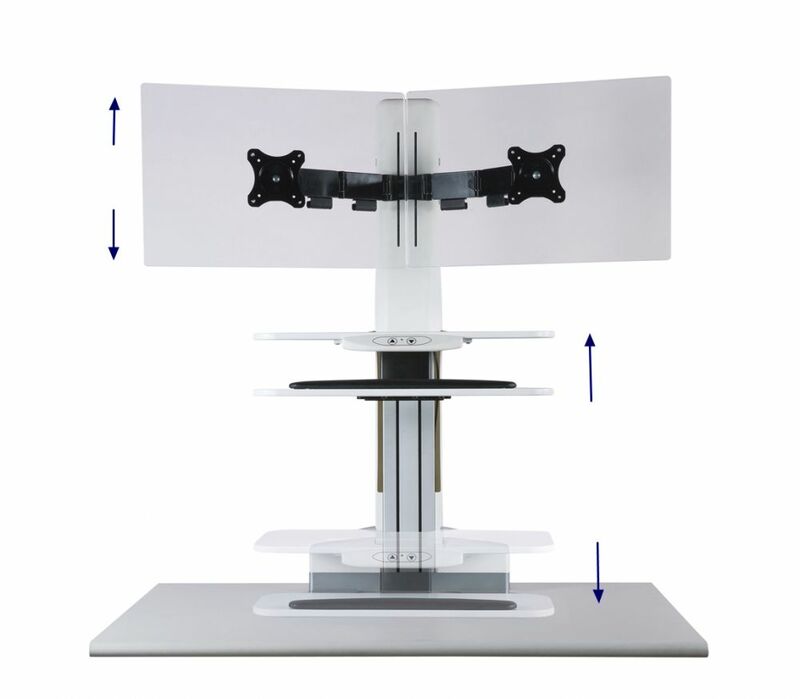 OrganizationalCable management covers and outlets are provided and integrated along the mount base to conceal the wiring. 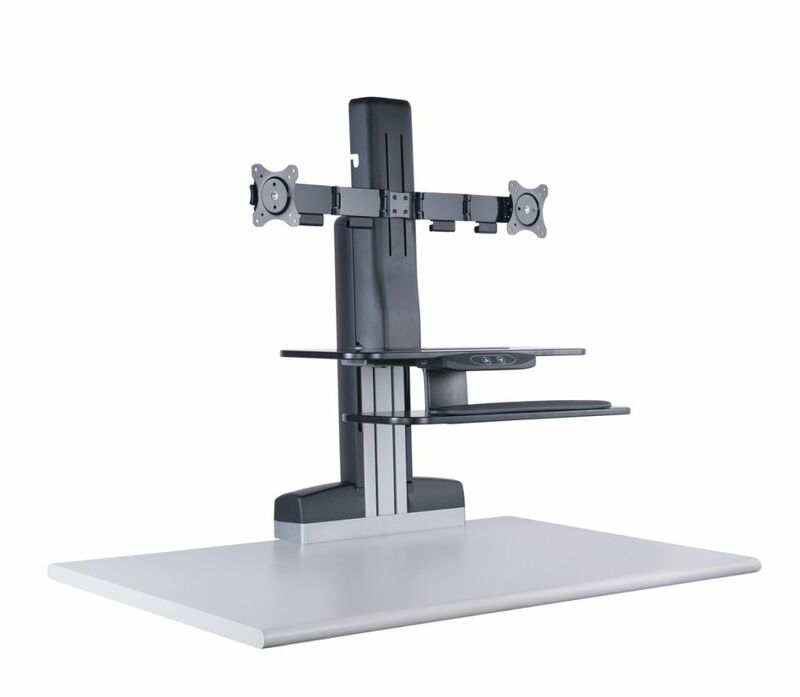 Individual Monitor Lifting Range200 mm／7.8"
Minimum Height (from desktop to Top Worksurface)145 mm／5.7"
Maximum Height (from desktop to Top Worksurface) 630 mm／24.8"
Monitor height adjustable with concealed crank. 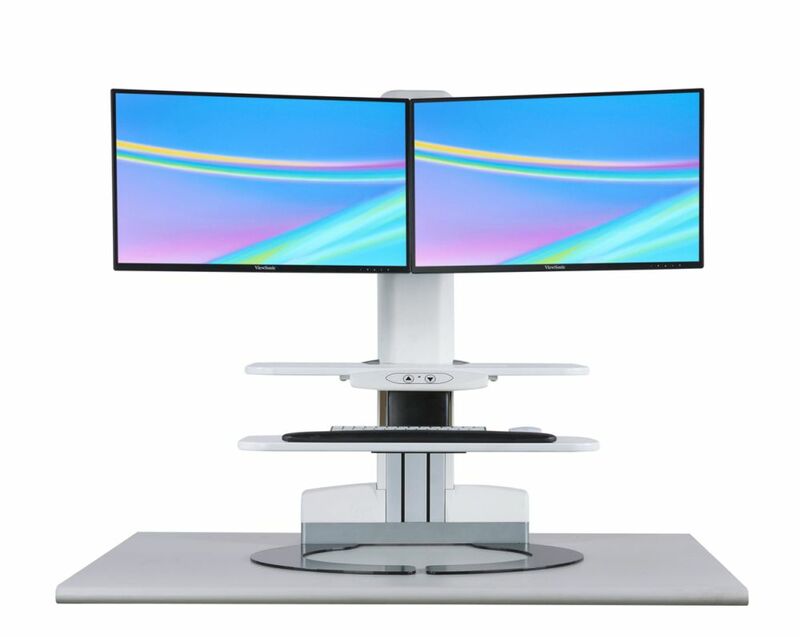 SP201 2-tier Sit Stand Workstation with Single or Dual Monitors Arm Set (clamp base).